Dual compartment and dual pumps in one unit. 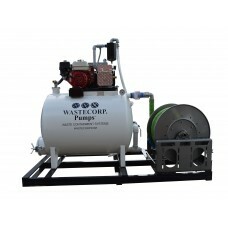 Enhanced productivity vacuum pump systems. 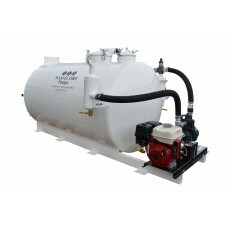 Provides a waste tank and a fresh water tank. 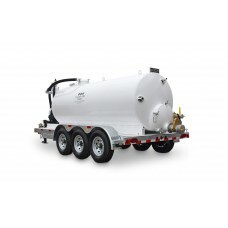 Skid mounted or trailer mounted systems available. 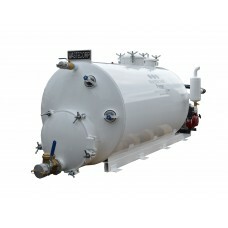 Dual compartment tanks up to 2500 gallons. Why not have the best of both worlds with a waste tank and fresh water source all in the same system? In this innovative design, the tank is divided between waste and fresh water holding areas complete with their own pump. You also have a standard sight glass/tube on each to visually identify the volume in each tank. Select from 100,150, 200 and 260 gallon fresh water compartments. 300 Gallon waste compartment and 150 gallon fresh water compartment. 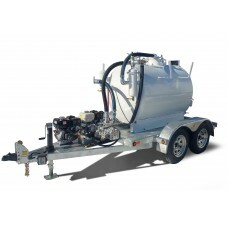 Trailer mounted or stationary m..
400 gallon waste compartment and 200 gallon fresh water compartment. 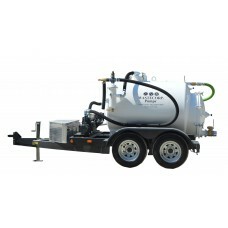 Trailer mounted or stationary m..
1500 gallon waste compartment and a 100 gallon water compartment. The TVP-1500-100 dual c..